Be a part of something new, be part of something amazingly old; become one with The Jeffrey and The Metal Works. Formerly this historical location was home to the world headquarters of a manufacturing company. Since our first historic restoration project at the Jeffrey Mining Company's world headquarters, our work has been inspired by the history of this great family business that at one time was the world's largest manufacturer of mining equipment. The Jeffrey was full of creative minds, innovators, and leaders - tje kind of people we aspire to be and that we hope live in Columbus to further the development of our city. With Battery B, the newest addition to the Jeffrey complex, we wanted to give a nod once again to the rich history of The Jeffrey Mining Company. 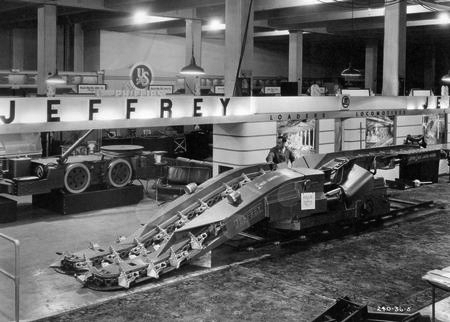 During World War I, two men, who happened to be the sons of the company's founder Joseph A. Jeffrey, felt it their duty to join America's cause. In 1917, they organized and assembled an artillery battalion comprised of local workers known as Battery B of the 37th division and went to serve their country. What better place to live, learn and discover than on the same soil where so many successful and diligent people thrived for decades.